As we enter into the cooler months, we're all starting to think about creating that perfect space at home to hide away from the weather and still enjoy the finer things of life with our family and friends. Dinner parties (or even just a special weekend meal with the family) are a great excuse to while away the hours over good food and wine in the comfort of your own home. Creating the perfect environment for a special meal is of course primarily about the food and wine (or whatever your favourite tipple may be) - but it's also about the ambience and atmosphere. We all love the experience of going to a fabulous restaurant - so how to bring that experience home? Dining rooms at home often play double or even triple duty - it's the home office, the sorting (or stuff storage) table and then, what it is designed for - the place to create a haven for family and friends to spend time, inspire great conversation and enjoy a lovely meal. for your WOW piece - that amazing pendant that makes your heart sing! We're all for that of course - but the greater question is how to bring the flexibility in - without losing the delight of the dramatic. Think about what you do in this space besides eat or entertain?? Do you have furniture in the room that is a key feature of your interior decoration? If your architecture it's own statement that needs to be brought to life? Perhaps you have some artworks that really speak to you and should be featured? 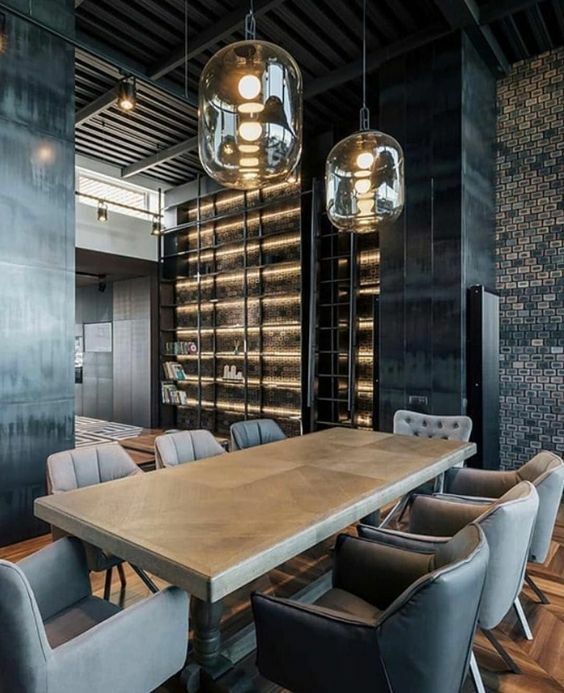 Maybe you don't want a pendant at all and you have other decorative elements in the room that are the WOW factor for the space? Once you know what you want to see - apply light to those areas - the walls, feature furniture, the architecture and so on. Nine times out of ten you'll find you have all the layers of light you need once you've done that. 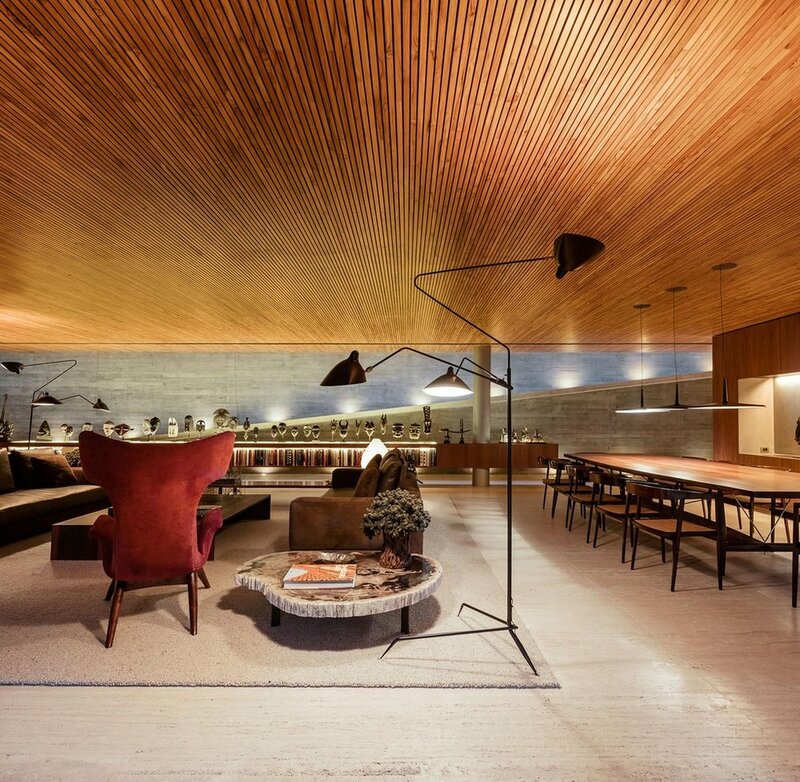 Perhaps you need only to add a simple light over the table for those times when you want it to be the feature. Or you may be heading off now to sift through the thousands of decorative lighting options to find that perfect piece to tie the whole room together. Often the dining room table can become a home office, or maybe your kids doing homework or just colouring? Each activity might need different levels of brightness. What you want to be able to do is turn on all of your lighting layers to make the area bright for work or homework - and then strip all those layers back to the one dramatic feature when you're creating a special space for that lovely meal. 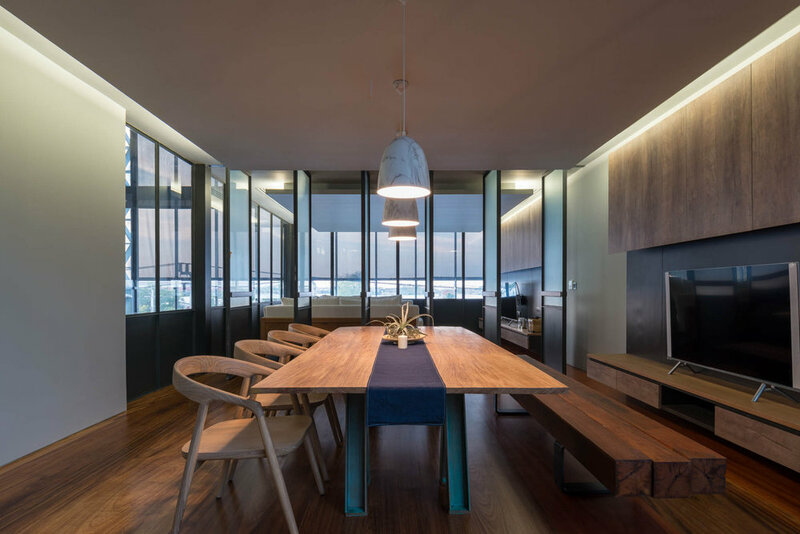 It's vital to keep in mind the impact of surrounding lighting if it's part of your open plan living - often your kitchen is right next door and you may be able to push up your light levels at the dining table just by turning the kitchen lights on. 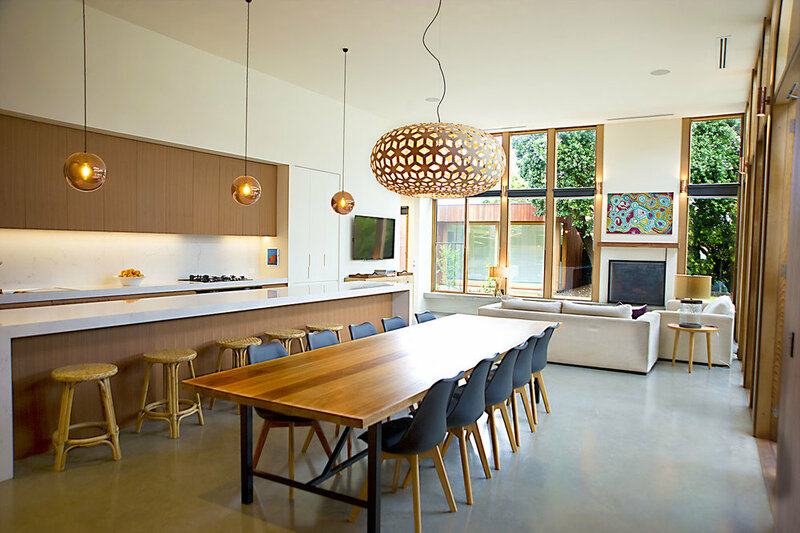 If it's a stand alone dining room, then you're going to have to consider how to add light to the space without obligating yourself to pendant light that is more functional than decorative. Dimming and lighting control is of course super useful in these sorts of areas - where multiple styles and personalities are needed, but if you don't have the bones of the lighting right, all the control in the world isn't going to save you. Please note, some images are sourced from third parties to highlight design options, MINT Lighting does not claim ownership of these images and have simply chosen these as an example . If you’d like to see your image have a correct and direct image credit, please contact us.